Dene Grigar (Washington State University) will read from and discuss my hypertext, Those Trojan Girls. I’ll be there (via Skype) for Q&A. The Traversal is a combination of a performance and talk aloud protocol of an interactive, multimedia work (i.e. born digital literature, video game, virtual world) on hardware and software for which the works were originally intended. 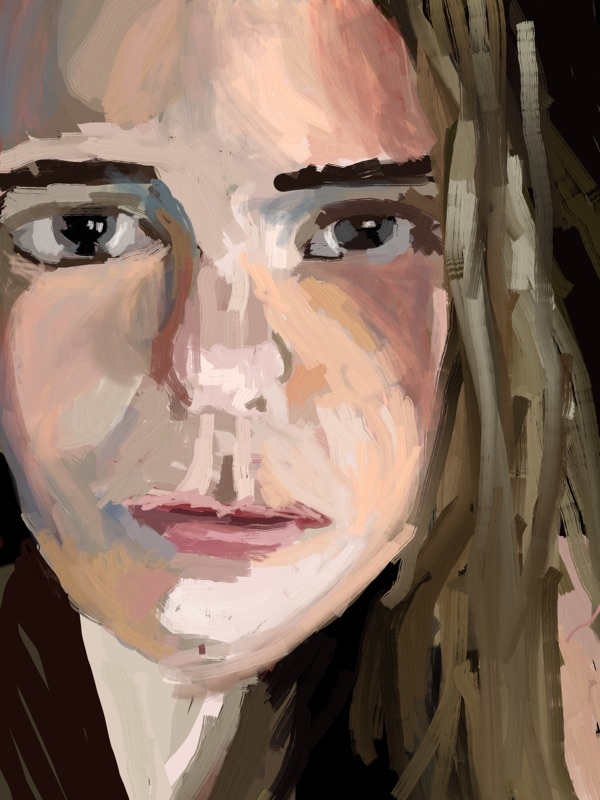 It was developed by Dene Grigar and Stuart Moulthrop as a process of the Pathfinders methodology developed through a grant from the National Endowment for the Humanities. There will be more of this at the HT19 Conference , this September at Hof. Every year, the Malden Democrats have a St. Patrick’s Day Breakfast. It’s one of the two annual parties that, along with an annual caucus, are the only official activities of the Malden Democratic City Committee. The program isn’t very political and hasn’t changed in eons. But that’s alright ’til I get home. This is nicely observed and it’s not the usual topic for a song! I wonder, though, in precisely what sense it’s all right. My interpretation was that we’re saying, the boys will get away with this now but there will be hell to pay when I get home. Linda suggests a slightly different interpretation: when we go home and are discovered to be combless, we ourselves are going to be in big trouble, which we can only hope to evade by citing force majeure. Either way, it’s an interesting dynamic in the year of #MeToo. She’s the belle of Belfast City. She is courting — one two three! Pray, can you tell me who is she? I love those twin bells. Again, there’s a little bit of ambiguity about the time progression. My first take was, this is dawning realization of an onlooker, and the last line is a request that he be properly introduced. My second view is less cheerful: it’s a progression: handsome kid, pretty nymphet, belle of the city who needs no introduction, and then — one two three! — an obscure married lady. This is cute, but what is it? In suburban America, she might not tell her ma because they can quietly sneak up to her bedroom for some canoodling. I’m not seeing that for 19th century Ireland, not because they didn't canoodle, but because cottages and flats were too small. Perhaps what she’s not telling is that she’s got a lad; that’s certainly possible, but is it song worthy? Hint: if you don’t want adjacent notes to form composites, you can set $NeverComposite to true. Hint: if you don't like bevelled notes, set the value of $BorderBevel to plain. This insightful local history of Malden MA, an early satellite city north of Boston, focuses on the city’s ethnic groups and their attitudes toward The Great Depression. Klaymann’s central character here is Malden’s Jewry, whose arrival he chronicled in his earlier monograph The First Jew. These are, to my knowledge, the only social histories of modern Malden . Malden began as a colonial-era village. In the mid-19th century, it became a moderate industrial center with a major rail line and big factories making rubber shoes, gym shoes, dyed fabrics, and furniture. A retail center flourished in Malden center with homegrown theaters and department stores. From the beginning, Malden had a tiny Black community down the road in its 7th Ward, and when Eastern-European immigrants began to arrive in the late 19th century, lots of them moved into that quarter of the town. Jews weren’t averse to Black neighbors, and other immigrant groups, notably the Irish, often were. Malden’s Depression-era conflicts were essentially ethnic. Yankee Protestants ran the Republican Party, but were declining in numbers as wealthier members moved away from the city. Irish-Americans ran the Malden Democrats, who even today meet in the Irish-American Club even though that club has never had a Black member or a female officer. Much of the Irish agenda was focused on preserving their dominance, typically by opposing the aspirations of the growing Italian-American community in its Ward 2 enclave. Throughout, Malden High was racially integrated but reserved class offices (and major roles in extra-curricular activities) for the offspring of Yankee Protestants. Malden’s large population of Jews shlepped through the Depression. The kids often did well in school: so well, in fact, that community opposition to academic excellence became a movement. When the WPA planned to build a big and greatly-needed new school, the city dithered for years over the question of whether it should be beige or brick. The Jews didn't care about the color. The Depression created a tight-knit Jewish community but carried the seeds of its dissolution. Immigrant Jews had accents and knew a world of pogroms; their kids didn’t. The kids did know Father Coughlin, an anti-semite with a vast American following; Malden was riven by a long struggle in the 1930s to get the Public Library to stop circulating the Protocols of the Elders Of Zion, which was in great demand. The immigrant generation built delis and shops and tenements, but the Depression deferred maintenance and redlining suppressed values and the kids moved to newer, nicer suburbs. The old Suffolk Square tenements were removed for urban renewal. The communitarian values of the old community survived, but were antennuated by the failure of Debs-style socialism in the 20s and by the enfeeblement of New Deal socialism in the wake of Nixon and Reagan. The roots of our current miserable political predicament are deeply buried, but that misery and its correction are exclusively our responsibility. Alexis Kennedy provides a remarkably complete and transparent view into the first year of his new game studio. At this point half the audience are saying ‘112K? How did you spend that much? It’s only a 2D text game’ and the other half are saying ‘only 112K? How did you spend that little?’ The numbers above are how. Eastgate’s not a game studio, but we’re not bigger than Kennedy’s Weather Factory. A few things leap out at me. Their producer costs about £17.50/hr. I assume that includes health insurance, payroll taxes, and such — yes, I know about NHS. I’ve always been very sad that we don’t pay people more at Eastgate, but this is in line with our reality, too. There’s no line for office rent or equipment. Be careful on this if you’re starting up. At minimum, get yourself a very good office chair. I’ve known people in their twenties who did themselves lasting harm by spending a startup year perched on an inadequate chair. Be good to your back. There’s no line for accounting time or help, unless this is folded into the principal’s 170 days. 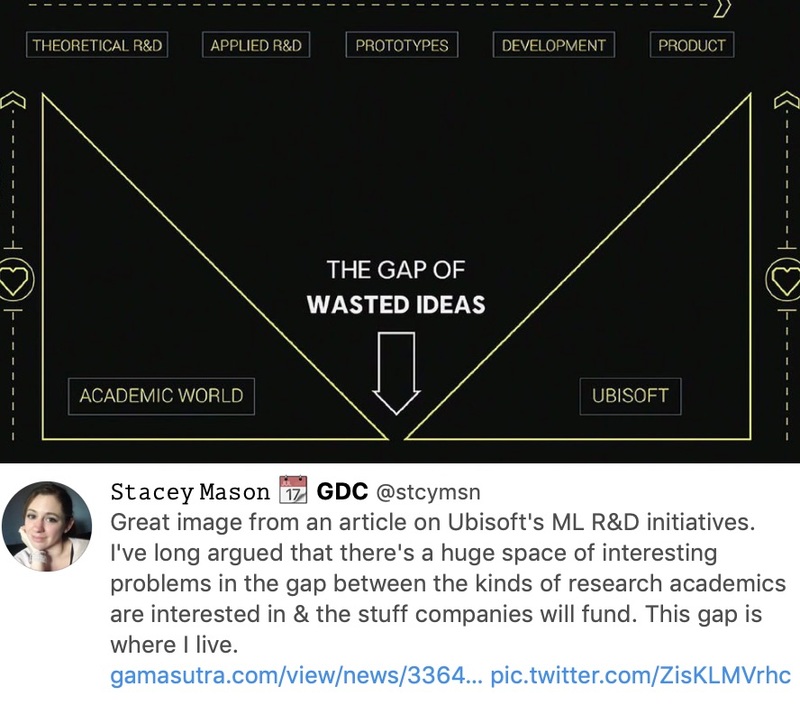 I think Stacey may be too kind to academics in writing about the “the gap between the kinds of research academics are interested in & the stuff companies will fund.” My experience makes me wonder whether academics who study computer games are, on the whole, deeply interested in computer games. Imagine a university film society in the 1950s, at a place where there was lots of interest in Cinema. Those people would be delighted to talk about Bergman or Goddard or Kurosawa. They’d have read last month’s Cahiers du Cinéma and would have strong opinions about it. Some of them would have read next month’s Cahiers, too. They would travel and wait in long lines for a chance to see The Bicycle Thief or The Philadelphia Story, because you couldn't stream and and you couldn’t rent. This isn't my experience of academic game studies. Fascinating videos of one scientist’s approach to capturing reading notes. chief scientist, Eastgate Systems, Inc.
I’m working with Swing Left to turn the House blue, seat by seat. 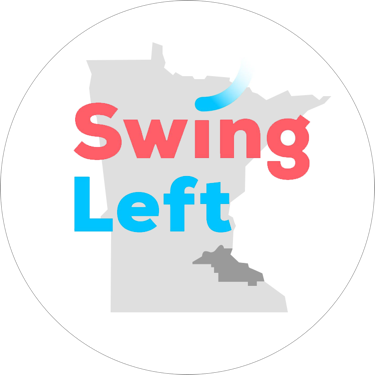 I’m the regional organizing coordinator for Minnesota, where we identified five of the most flippable seats in the country. Saving the United States is everyone’s business. You can help in lots of ways: Email me..
23 seats to flip. One last chance to save the last best hope. 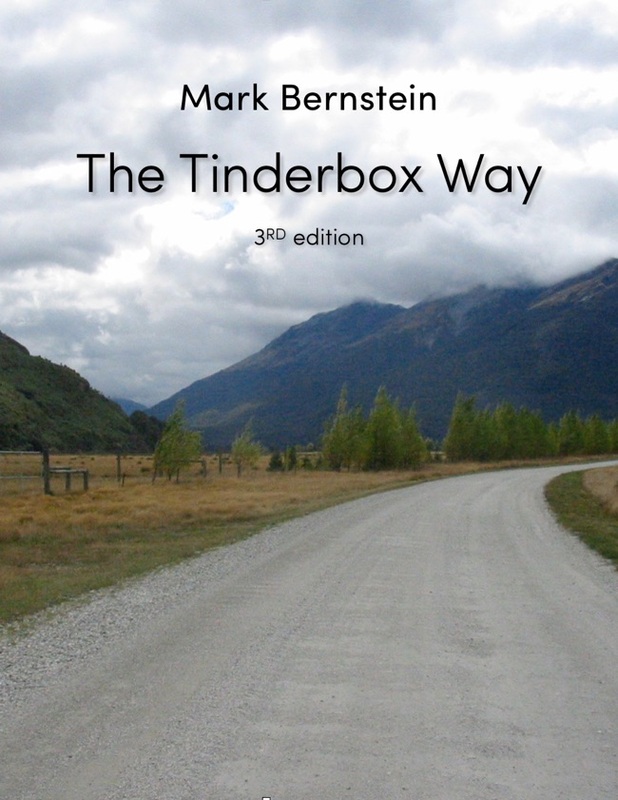 Exploring not only how to use Tinderbox but also why it works as it does. 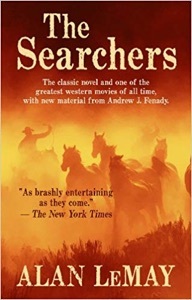 $34.95 (492 pages, eBook). Read more. 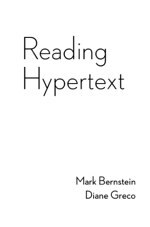 A new anthology of the best papers about the future of reading. Thoughts on my recent reading. Mouseover the covers for notes. This insightful local history of the Malden MA, an early satellite city north of Boston, focuses on the city’s ethnic groups and their attitudes toward the depressing. 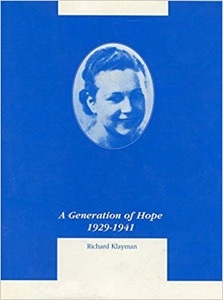 Klaymann’s central character here are Malden’s Jews, whose arrival he chronicled in his earlier monograph The First Jew. Wisconsin was settled in the mid-19th century by emigrants, chiefly from Sweden and Norway, who were inclined by background and experience to place a very high value on community. 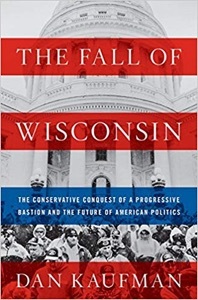 In the early 20th century, Wisconsin became a bastion of Progressive politics and the laboratory of social democracy. No state excelled Wisconsin in respect for the environment. 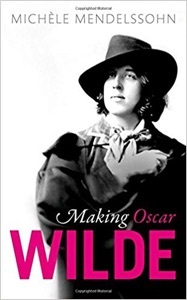 In 1882, Oscar Wilde was little-known Oxford graduate, a young man who had a done well in school (partly by virtue of having don't it twice), had indifferent success socially. He had received a little journalistic attention, and had far too little money. He parlayed this into an 1882-3 lecture tour of the United States. The issues of this moment, in which the President of the United States, frustrated by a Congress unwilling to fund The Wall, is threatening to circumvent the Constitution and to build a Wall without congressional appropriation, is starkly reminiscent of 1640. 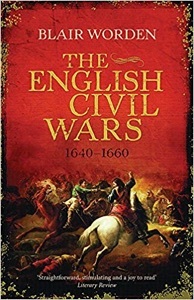 This accessible, compact history of the Civil War era is pleasant and modern in its viewpoint, and does a nice job of pointing to major historical and historiographical controversies. Having been felled by a Dublin cold once I returned from Interactive Digital Storytelling, I sought refuge in a volume of Nancy Mitford’s letters I’d been saving for a rainy day. 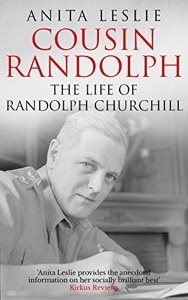 Those letters led me to this biography of Randolph Churchill, son of Sir Winston Churchill. 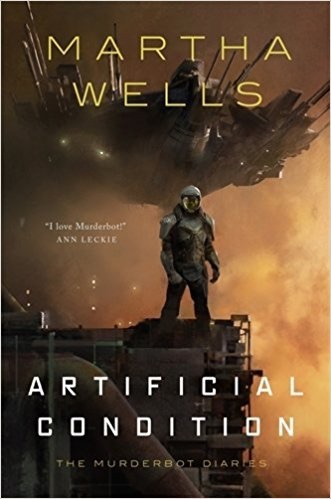 The narrator, a synthetic cyborg developed to provide security for planetary explorers, thinks of himself as a murderbot. He exists to protect people, but he has no high opinion of people and he heartily disliked them. Really, he’d much rather be left alone to watch videos than have to risk his life for these unpleasant creatures. Still, he’s not happy about a job that requires him to kill so often, even if it’s necessary to save his clients. Brilliant, vivid, indispensable. 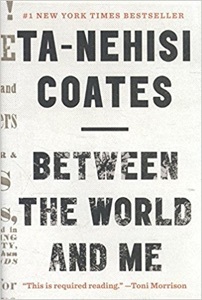 This book is destined for the shelf which The Souls Of Black Folk has so long had to itself. Books Bought (Last 45 Days): Recent additions to my reading stack, including review copies, loans, gifts. All dates subject to change. Want to arrange a talk? Contact Eastgate . A list of some previous talks is here. Judy Malloy, "The History of Hypertext Literature Authoring and Beyond"
(hide museums) One precept of the Tinderbox Way is to write it down. So, here's a rough list of the museums I've visited recently. Tools: Tinderbox, Skitch,, BBEdit, NetNewsWire, CSSEdit. “Get Excited And Make Things” by Matt Jones. 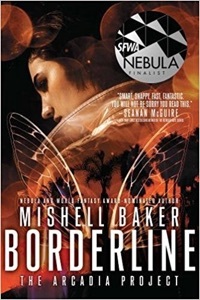 A Jason Snell recommendation and Nebula finalist, this faery noir saga pits a young film director with borderline personality disorder (and without legs, which she lost jumping off her dormitory roof in a failed suicide attempt) against a frightening magical conspiracy.